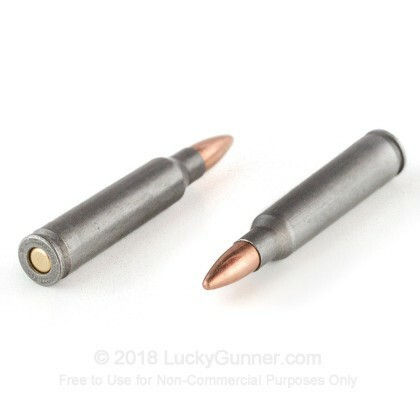 This .223 Remington ammo is a great way to keep your shooting costs down, especially if you don't reload your own brass. These cartridges use non-reloadable steel cases with polymer coatings that help ensure reliable feeding and ejection. 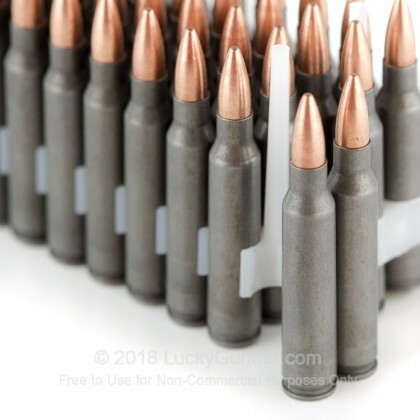 They fire a 62 grain bullet with a zinc-steel bimetal jacket. Each box contains 40 rounds. Due to their steel components, this ammo may not be suitable for all indoor ranges. Check with your range if unsure. These cartridges are loaded in Tula, Russia using non-corrosive Berdan primers. 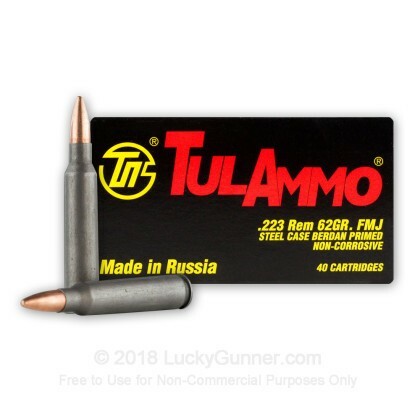 Tulsky Oruzheiny Zavod (the Tula Arms Plant) dates back to the era of Peter the Great and is one of the largest-volume ammo producers in the world. It is well-located for steel-cased ammo production due to the large iron ore deposits located nearby. Tried 2 boxes of this just to see how it would run through my Ruger 556 along with about 200 rounds of premium ammo. 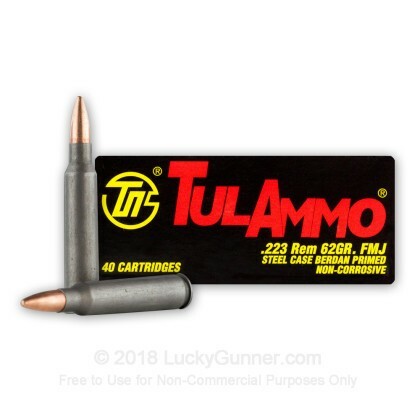 Read a bunch of reviews on this ammo and some said it would not run through some AR's. But for the price it was worth a shot (pun intended). Pushed all 80 rounds through with no problem and also was not as dirty as reviews make it out to be. Only gave 3 stars on quality because it is steal casing and only good for practice. But for this price I will be ordering a larger quantity along with premium ammo from Lucky Gunner.